I’ve always loved doing little fun things with my kids. I have a daughter who is super artistic and boys who pretend they aren’t as interested, but are right in there whenever we start any project. 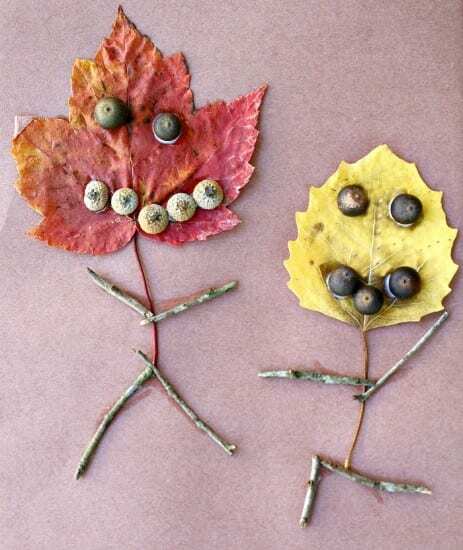 These Fall Crafts for Kids caught our attention. We’ve tried most of them, and thought they were very fun and cute. 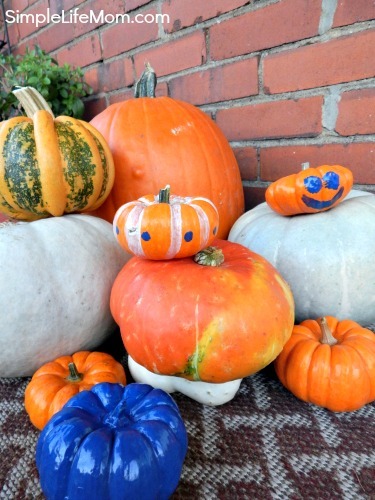 Kids of all ages can have fun creating painted pumpkins. They can paint anything from stripes to faces. It’s also fun to let them pick out their own so they can begin to picture how they want it from the beginning. We simply cut a piece of laminate paper and taped the edges down so we could work. From there we placed leaves and letters. My daughter also traced around her leaves with a marker to add a but of extra color. 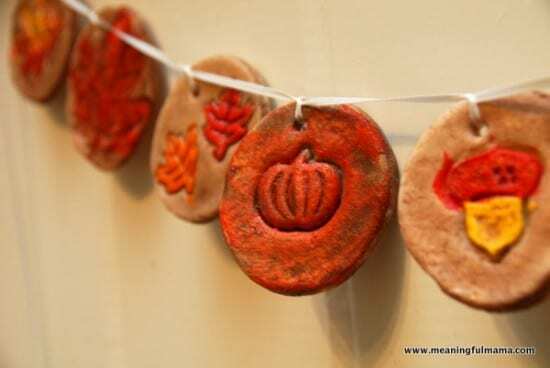 We’ve made something similar to these ornaments for our Christmas tree, but we thought it was a great idea to add some extra festivities above our Thanksgiving table this year with these Fall themed salt dough ornaments from Meaningful Mama. 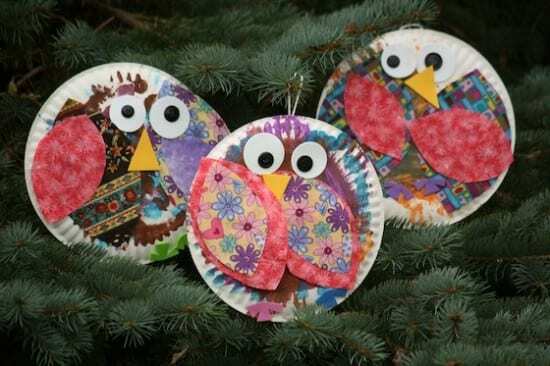 These Paper Plate Owls from Happy Hooligans are so adorable. We thought they’d go well with our salt dough ornaments. We decided to use small paper plates instead of large ones due to where we want to put them. Though you can give your kids a basic outline, this still leaves a lot of the decisions to them, which is what I really like about it. Don’t forget those birds that are still around! 🙂 We still have a lot of various sparrows, Carolina Chickadees, Nut Hatchers, and Blue Jays. 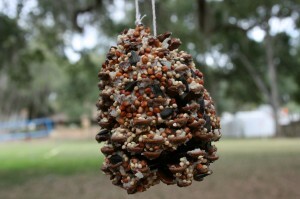 These pine Cone Bird Feeder from Bloomin Time is an oldie, but a goodie. Seriously! These are just sooo cute! My daughter was so excited to make these Leaf People from Fantastic Fun and Learning. My boys were also excited, but lets just say they didn’t look like friends leaf people when they were done, ha ha. Oh, boys…what can you say? These look complicated, but Jessica at Cutsie Crafts lays it out step by step. We have so many beads around the house I figured this is a definite go for us. 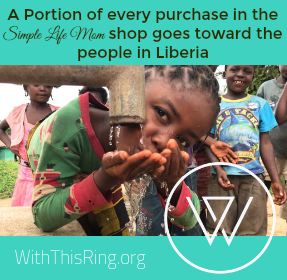 She also has cute beaded pumpkins on her site. 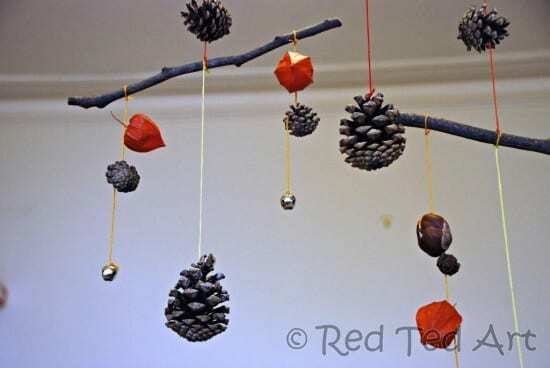 This Autumn Mobile from Red Ted Art is far more organized than our mobile would ever be. It’s a fun idea that all ages can participate in. It’s a great excuse for taking a nice fall walk or hike too. And of course, leaf printing! 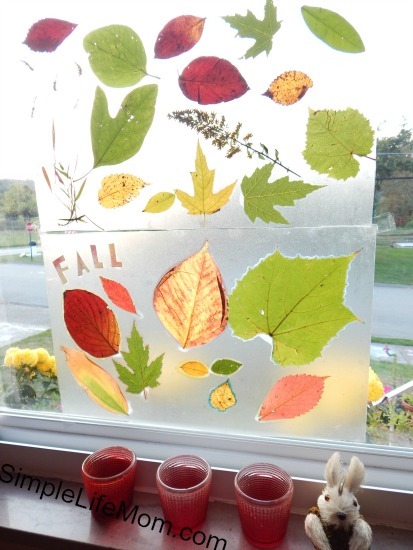 You can’t do Fall Crafts without Leaf Printing! Or Apples, or zucchini, or other kind of squash or fruit 🙂 This pretty leaves are from Kleas. These adorable critters from Tinker Lab are right up our ally. I think I’ll have my kids tell a story with theirs – kind of like a live comic book. 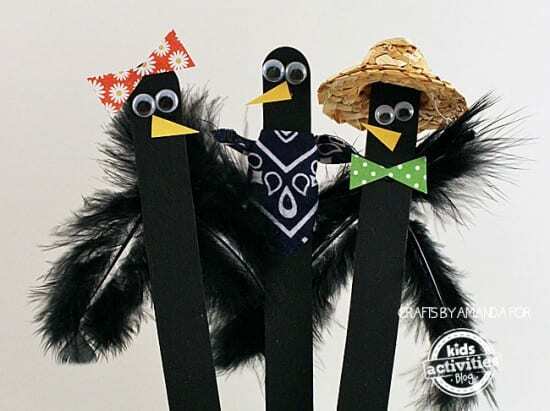 I thought these Craft Stick Crows from Kids Activities Blog were really unique. You can get almost everything you need from the dollar store too, which makes it a plus. Apple Bowling Art, or maybe pumpkins! Roll them in paint and roll over paper. 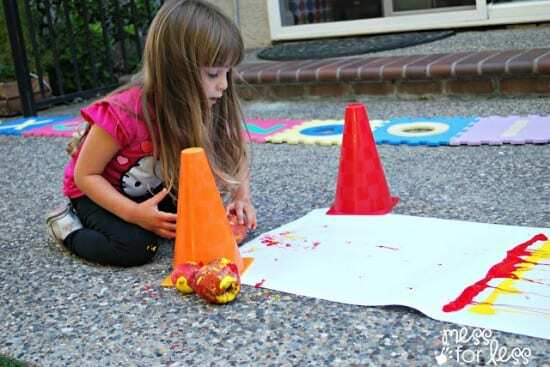 Or decorate your sidewalk 🙂 Bowling or no bowling, this is a fun mess from Mess for Less. 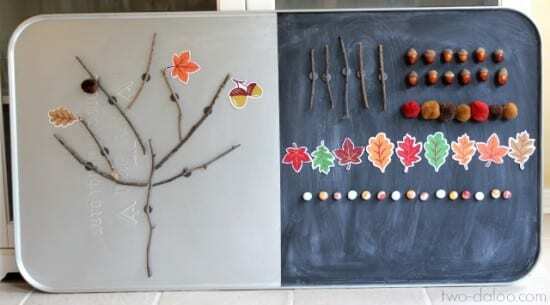 This Magnetic Fall Tree from Invitation to Play is Creative, fun, educational! You can add letters, little people, etc. to make this a fun art project that can be completed over and over again. 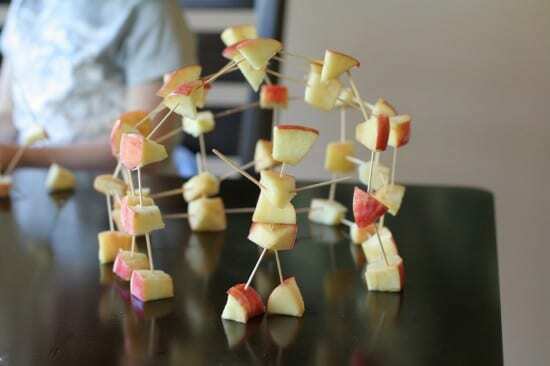 You cannot get more simple than this apple building idea from Fun at Home with Kids. Think of the math that can be learned!! 🙂 I love this picture of the little person and it’s “house”. I know that not every kid will like doing crafts so I do actually have another recommendation to keep them entertained. My kids visit new york tennis lessons and absolutely love them, so if you’re child likes to keep active, check it out! Wow – some of these are really cool ideas! The popsicle stick crows are super cute! What a great collection! 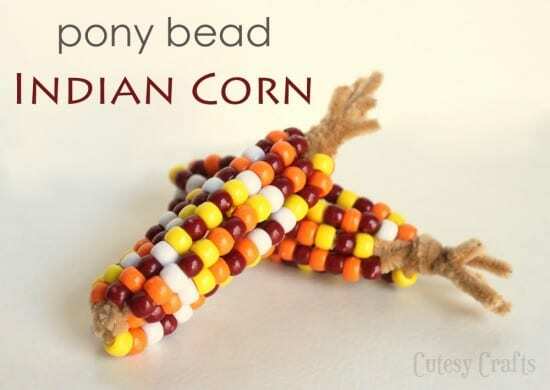 I love the pony bead corn. I think I’m going to have to try that with my kids! Thank you Nicky. We had lots of fun with them. Hope you do too. 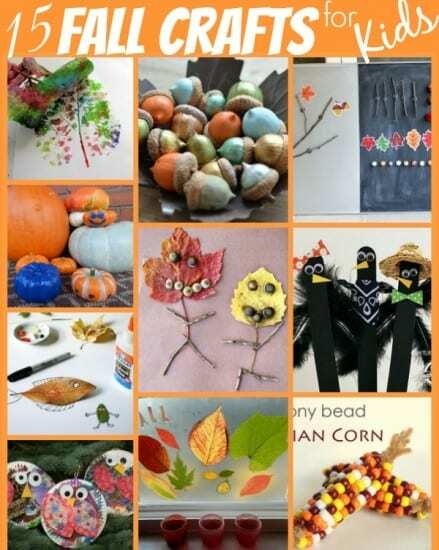 Beautiful crafts and what a great way to usher in fall! 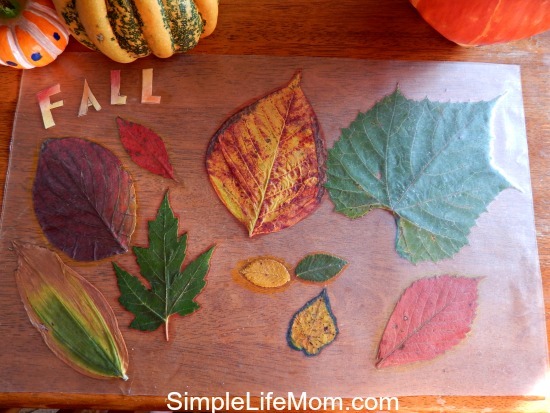 Love the leaves in the wax paper – it would be fun for me to make! Pinned. Thanks for sharing this roundup. Thanks Erlene. That’s one we did with contact paper. It was so simple that we could spend time just decorating it, which I really liked. Oh my goodness, these are so cute! Thanks for sharing them (and a double thank you from my kids). Thank you Heidi 🙂 Have fun!! 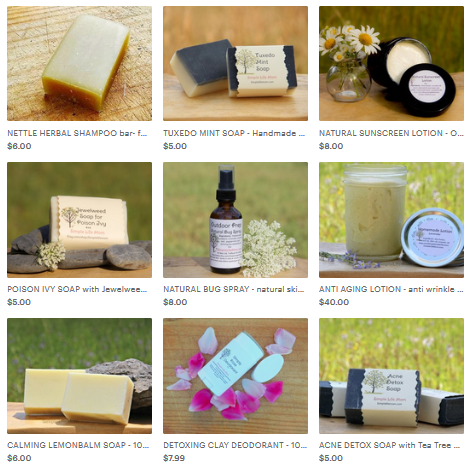 a really fabulous round up, I can;t wait to make some of this stuff with my kiddos! Thanks! Thank you Tessa. We’ve had a lot of fun already with the ones we’ve made. Oooh, my daughter would be in heaven if I had a craft store. She’s very into anything artistic. These are great ideas! 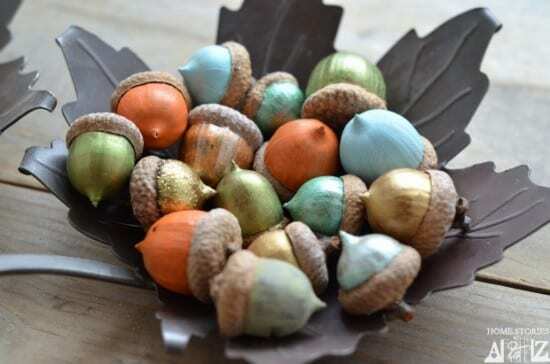 (I personally really want to make the painted acorns.) Thanks for sharing at #MomTimeThurs! I love the salt dough ornaments. I love these ideas! Some of my favs are the salt dough ornaments and the bird feeder but they are all fantastic ideas… thanks so much for sharing! Oh! I especially love the leaf printing and the painted acorns. Will plan on doing those next week. Thanks. 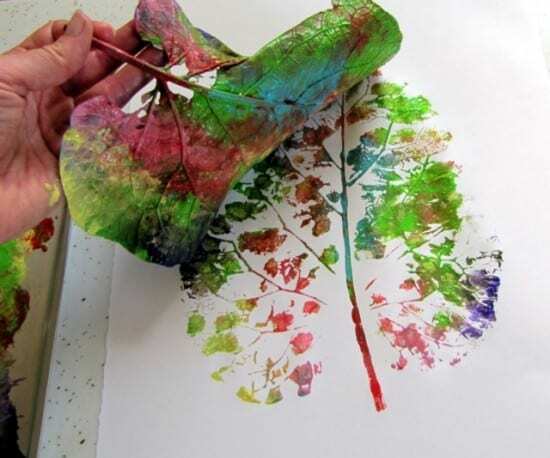 We’re planning on doing the leaf painting today 🙂 Have fun! So many great ideas here! 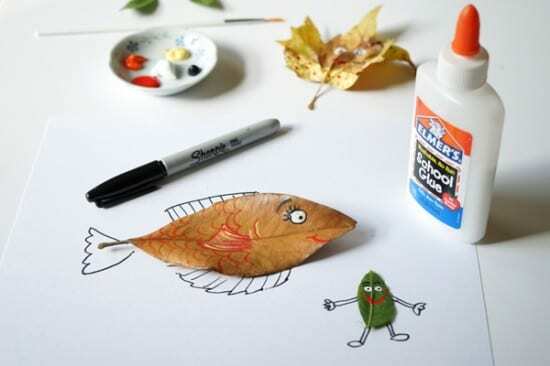 Love the leaf painting! Pinned and will try some of these with the grands 🙂 Hope to see you this weekend @ our Snickerdoodle Sunday! Those are all so cute, Kelly. 🙂 I’m sure my kids would love to do them! Thanks so much for sharing them at Savoring Saturdays! Love this list! These are all such wonderful crafts. Those acorns are so beautiful! Thanks for sharing with The Wednesday Showcase! Those painted acorns! <3 <3 <3 Thanks.